Both of them are used to manage the connection between the computer and Robobo. The computer where ScratchX runs and the smartphone must be connected to the same WI-FI network. The robot must be switched on with the LEDS in blue. The smartphone must have the Robobo app running, with the corresponding Robobo linked by Bluetooth. The IP entered must be the one assigned to Robobo (it can be seen in the Robobo app main screen). The IP introduced should not have spaces at the beginning or end. 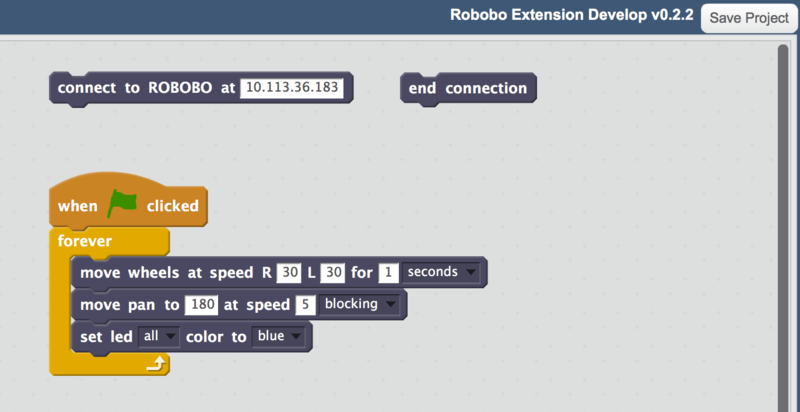 IP address assigned to Robobo in the smartphone app, made up of 4 integer numbers between 0 and 255 separated with dots. FuNCTION: disconnects the smartphone from ScratchX. 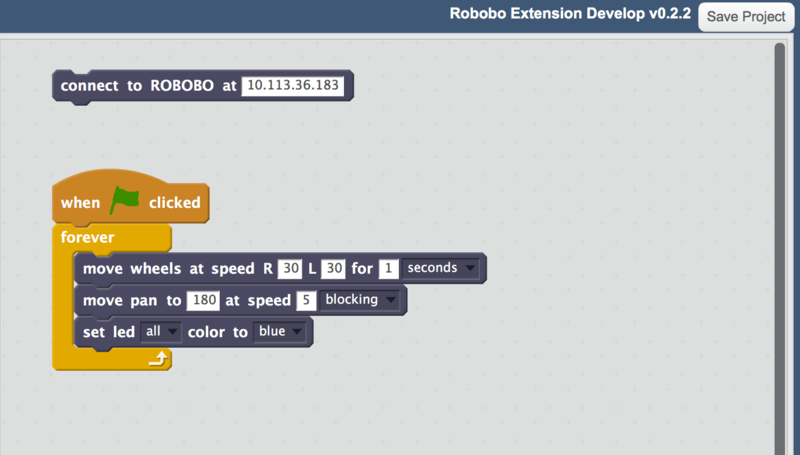 This block is necessary if, for instance, we want to connect ScratchX to a different Robobo, with a different IP address.